Only One Finer, Rare Date! 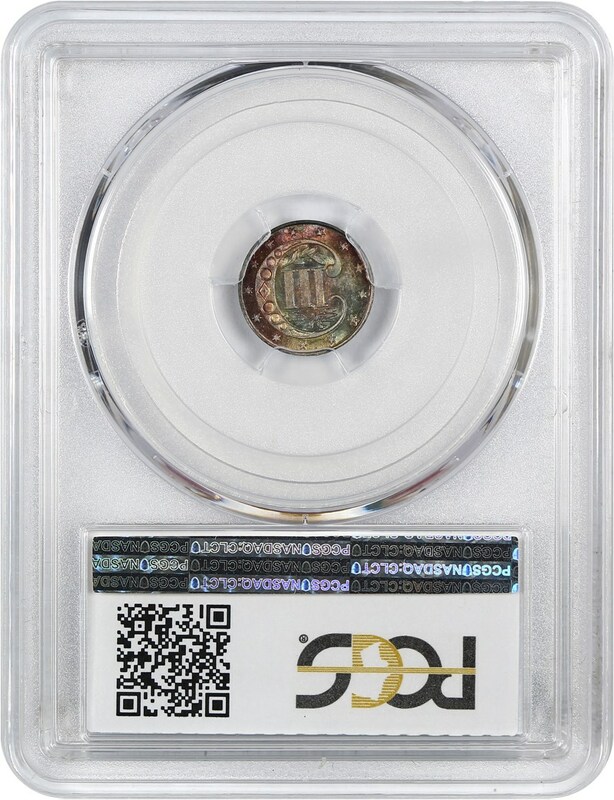 Item sold in auction: Internet Auction #1015. Closed On: Sunday, June 3, 2018 8:30 PM. Beautiful rainbow tones throughout with fantastic underlying luster. 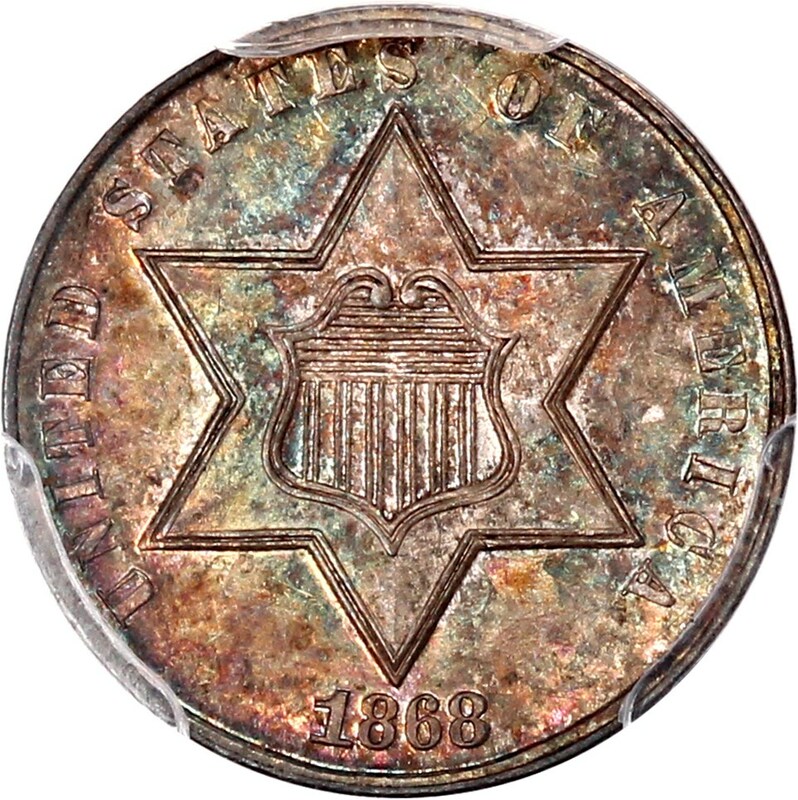 Coming from a miniscule mintage of 3,500 coins, the 1868 silver three cent is scarce in all grades and rare at the Mint State level. 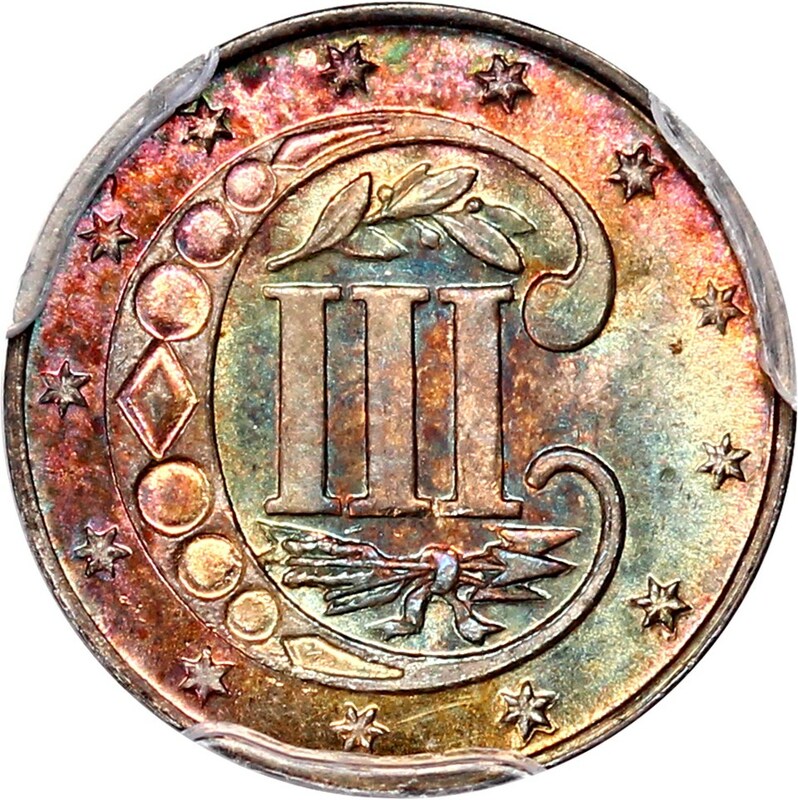 It is arguably rarer in Mint State grades than the 1867. 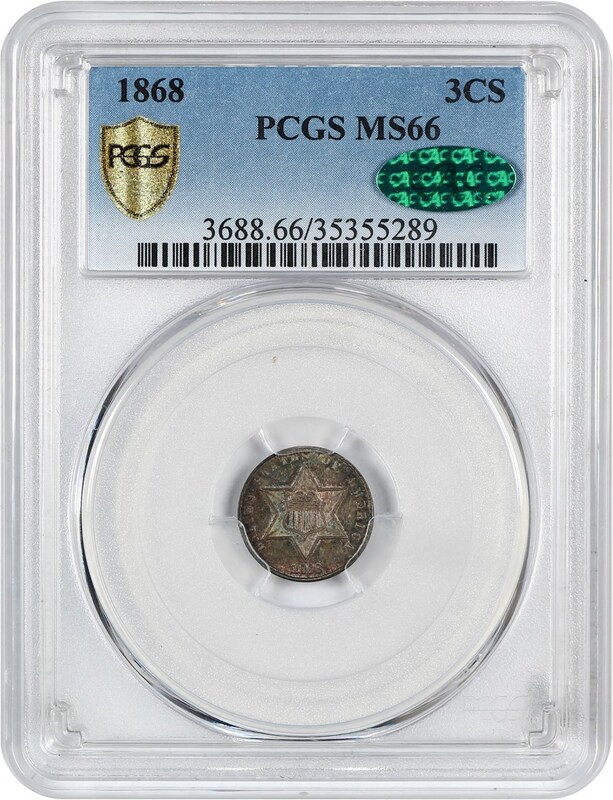 Only a single coin is known finer than the present piece, placing this example firmly within the Condition Census. CAC approved for quality.